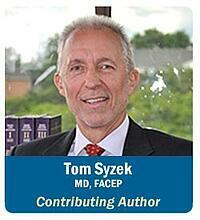 Tom Syzek, MD, FACEP, served as the Chief Risk Officer of a multi-specialty physician group and President of the group’s captive insurance company. In those roles, he was the focal point for the Communication and Resolution Program (CRP); he attributes many prevented lawsuits to an effective communication and resolution strategy. We picked Tom’s brain to understand some key questions that we hear clients ask about Communication & Resolution Programs. Q: What was the impetus for investing in and organizing a CRP? Tom: Our group consisted primarily of hospital-based emergency practitioners and hospitalists; any patient complaints involving our clinicians were always directed initially to the patient relations or risk management department of the hospital. As Chief Risk Officer for our physician group, I had fostered a close working partnership with my hospital counterparts for years, and they felt comfortable turning those patient complaints over to me for resolution. So our CRP had its roots in our desire to be a good partner to our contract hospitals. Of equal importance was that this was a great opportunity to respond quickly and fairly to legitimate complaints from patients who contacted the hospital directly instead of pursuing litigation through an attorney. 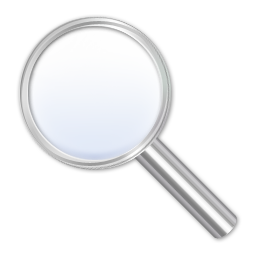 Q: What was the first step toward implementing a Communication and Resolution program? Tom: The first step was to determine that our insurer, reinsurer, TPA (third party administrator), defense and legal counsel, and C-suite all understood and approved of this “new” approach of direct communication and resolution. I had to have buy-in, back-up and understanding of this new paradigm, especially in the event that communications broke down and the patient decided to file suit. Another essential component of the program is for the team to be made up of individuals who have knowledge and experience in medical, insurance, legal, financial and communication issues. This is a complex and specialized area that requires mature personnel with adequate background and training. Q: What was the efficacy of the program? Tom: Quantitatively, I can tell you that we resolved 25 to 30 patient complaints over ten years through our program of communication, resolution and offer. The patient or family in these cases indicated that they would sue us unless we dealt with them promptly and fairly. The cases ranged in severity from minor wound complications to permanent partial disability and death. Settlements ranged from a few hundred to hundreds of thousands of dollars. We did not offer compensation in cases in which we found no liability, causation or damages. Whether they were compensated or not, none of the patients elected to pursue litigation, even though we routinely informed them that they could and should seek legal representation. Q: What was the reaction from the patient and/or family? Tom: From the most important perspective – that of the patient and/or family - they were satisfied and often surprised that someone actually listened respectfully, investigated their complaint promptly, explained exactly what happened, showed empathy for their situation, apologized for any mistakes, took measures to avoid repeating the error, and provided fair compensation when warranted. It is of extreme importance that you stay in contact with the patient and/or family, and always follow through on your commitments. Do what you promised to do. Patients and families justifiably demand honesty. Q: How did the program affect the practitioner, hospital, insurers, TPA and defense attorneys? Tom: Our employed practitioners involved in the complaints felt relieved that we supported them through this process and that we could quickly and fairly resolve these matters. The hospital leadership appreciated that we were accountable for adverse outcomes attributable to our employed and insured practitioners. Our mutual trust with the hospital avoided finger-pointing. We updated the CEO frequently and made sure the hospital was included in the final “release of liability” agreement. Our insurers (our own captive insurance company) and reinsurers understood that prompt reporting, resolution and payment of claims was to everyone’s benefit. Our TPA and defense attorneys were supportive, although we jokingly agreed that they were starving due to the lack of litigation. Q: What were the keys to success of the program? Tom: Two words: buy-in and belief. Buy-in at every level – leadership, insurance team, hospital partners and practitioners. Belief that this was absolutely the right thing to do for our patients and everyone involved. Q: If you were advising another organization on implementing a Communication and Resolution Program, what are 3 key things they should know? Your organization must have the structure and leadership that not only allows but supports the program. Mainly, your insurer and corporate counsel must be on board with the program or you can’t get started. CRP is not for the faint hearted. The process is a balance between firm objectivity and a gut-wrenching foray into the depths of human anguish and anger. Be prepared to see patients and families – your fellow human beings – at their worst and best. Even when you are doing the right thing, you will not satisfy everyone. Education and training is a must. Every person in your organization, from cafeteria to C-suite, needs to know the meaning of empathy and engage in its daily expression. The team of individuals who will actually sit down and listen, explain, apologize, and make an offer to a patient and/or family will need special training and practice. Not everyone can do it. Q: How do you maintain the culture that is required of a Communication and Resolution Program? Tom: As I mentioned before, everyone needs to train and practice in basic communication skills and the expression of empathy. 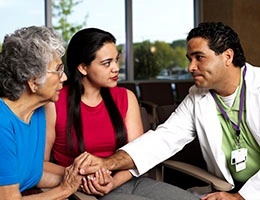 Many complaints start small but escalate quickly because there is nobody willing or available to listen to and empathize with the patient and family. Leadership at all levels have to walk the talk of empathy and provide the tools of education and training to the entire workforce until the values of empathy and open communication become hard-wired. In the high-stress, high-stakes world of healthcare, there will always be adverse outcomes and patient complaints. Successful organizations are those that choose not to turn and run, but instead to walk towards the problem and engage with empathy and a well-organized plan to communicate and resolve the issue.